Canada needs the political will to cancel fossil fuel subsidies and put a price on carbon, which will correct the market value of fossil fuels and naturally prop up the bioeconomy. 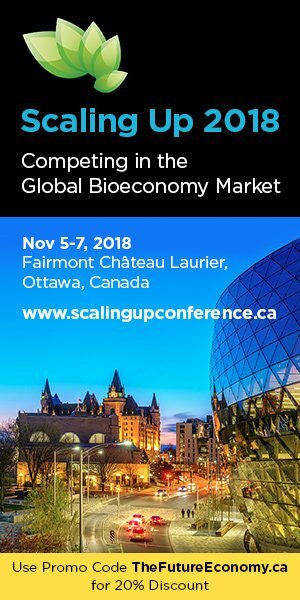 Although Canada has focused on R&D and regulatory incentives, it should also prioritize the commercialization of innovation and products in the bioeconomy. 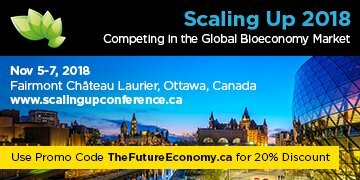 Canada needs a coordinated and sustained effort for bioeconomy development. We need to strengthen our innovation ecosystem to foster public-private partnerships, accelerate deployment and adoption of advanced technologies, support skills training, integrate innovators with the mainstream supply chain, and showcase Canadian innovation. The by-products of multiple Canadian industries – such as wood products from forestry, and carbohydrates from corn, wheat straw and other agricultural waste – represent potential feedstocks for the bioeconomy, should their supply chains be strengthened. "The biggest challenge is the old, hardwired thinking in this country that continues to privilege fossil fuels above the challenger." "Canada needs to support the commercialization process of promising technologies that utilize renewable bio-resources." "One of Canada’s most important bioeconomy advantages is that we have the world’s largest source of biomass per capita." "The goal is to ultimately make materials that have performance advantages and are easy to make from bio-waste materials."